U.S. Attorney General Eric Holder divulge details of an alleged Iranian plot to kill the Saudi Ambassador to the U.S. and bomb the embassies of Saudi Arabia and Israel in Washington. WASHINGTON -- U.S. authorities say they have foiled a plot allegedly orchestrated by the Iranian government to assassinate the Saudi Arabian ambassador to the United States. 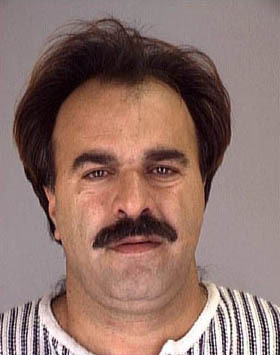 At a press conference in Washington on October 11, Attorney General Eric Holder said the two men charged in what he described as an "international murder-for-hire scheme" are Manssor Arbabsiar, a naturalized U.S. citizen who holds an Iranian passport, and Gholam Shakuri, an Iranian-based member of the Quds force, which is an arm of the Iranian government's Islamic Revolutionary Guard Corps. "The complaint alleges that this conspiracy was conceived, sponsored, and was directed from Iran," Holder said. "It constitutes a flagrant violation of U.S. and international law, including a convention that explicitly protects diplomats from being harmed." Holder said Arbarsiar was arrested on September 29 and has since confessed and provided "other valuable information about elements of the Iranian government's role in it." Shakuri remains "at large" in Iran, he said. The two men have been charged with conspiracy to murder a foreign official, conspiracy to use a weapon of mass destruction, and conspiracy to commit an act of international terrorism, among other charges. 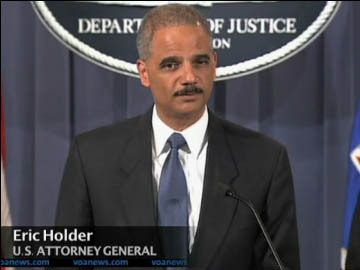 Holder claimed U.S. officials had been working for months to untangle the complex assassination plot, which involved Arbabsari holding a series of meetings in Mexico with a secret U.S. government informant, whom he allegedly hired to kill Saudi Ambassador Adel al-Jubeir in exchange for payment of $1.5 million. "According to the complaint, earlier this spring Arbabsiar met with a confidential informant from the Drug Enforcement Administration who was posing as an associate of a violent international drug trafficking cartel," Holder said. "The meeting, which took place in May and in Mexico, was the first of a series that would result in an international conspiracy by elements in the Iranian government to pay the informant $1.5 million to murder the ambassador on United States soil." Officials said the plot, as conceived, involved setting a bomb off in a restaurant where the ambassador was dining. They said that they stopped the planning before any explosives had been acquired. Preet Bharara, the attorney for the Southern District of New York, where the charges were filed, said $100,000 had already been wired through a New York bank "as a deadly down payment for their hired gun." "The complaint unsealed today [October 11] reveals a well-funded and pernicious plot that had as its first priority the assassination of the Saudi ambassador to the United States," Bharara said. "The details of that murder case are chilling, to say the least, as the defendants allegedly had no care or concern about inflicting mass casualties on innocent Americans, on American soil, in furtherance of their assassination plan." ​​FBI Director Robert Mueller, who also appeared at the press conference, said the case "illustrates that we live in a world where borders and boundaries are increasingly irrelevant." He said the plot, if successful, would have led to scores of casualties. "Though it reads like the pages of a Hollywood script, the impact would have been very real and many lives would have been lost," Mueller said. "These individuals had no regard for their intended victim, no regard for innocent citizens that might have been hurt or killed in this attempted assassination." Holder said the United States plans to prosecute both men charged in the plot, but is "also committed to holding Iran accountable for its actions." Speaking after the charges were announced, U.S. Secretary of State Hillary Clinton said the alleged plot "crosses a line that Iran needs to be held to account for" and will send Tehran deeper into international isolation. "We will be consulting with our friends and partners around the world about how we can send a very strong message that this kind of action, which violates international norms, must be ended," Clinton told reporters. On October 11, the Treasury Department froze the U.S. assets of Shakuri and Arbabsiar, as well as three others -- Qasem Soleimani, Hamed Abdollahi and Abdul Reza Shahlai -- who it said were senior Quds force officers involved in the alleged plot. The Saudi Arabian embassy in Washington released a statement calling the alleged plot "despicable" and a violation of "the principles of humanity." Iran reacted quickly to the news of the charges, calling them a fabrication. Ali Akbar Javanfekr, the press adviser to Iranian President Mahmud Ahmadinejad, called the U.S. accusations "a prefabricated scenario to turn public attention away from domestic problems." The official Iranian news agency IRNA said the charges were "America's new propaganda scenario" against Iran, while Iran's Mehr news agency said simply "the charges are ridiculous." Meanwhile, Arbabsiar made his first appearance in a New York federal court, and through his lawyer, said he will plead not guilty to any charges if he is indicted. Arbabsiar did not seek release on bail, instead agreeing to a temporary order of detention.